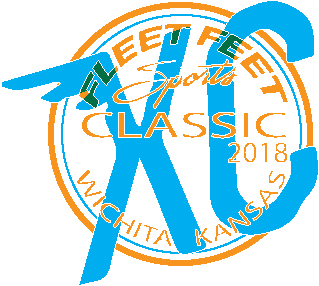 ABOUT THE EVENT: Join us for the 2nd annual Fleet Feet Sports XC Classic. Both the 1.5 mi and the 5K (3.1 mi) will include finisher awards for all participants. Awards will be presented to overall winners in each of the three divisions as well as top three grade level winners for Elementary, Middle, and High School races and 10 year age groups for the Open division. All participants receive an event t-shirt and finisher award. The races will conclude with a family friendly after party with music and activities. Walkers welcome in both races, race walking will not be scored/judged. For both males and females, awards have been prepared for the top three finishers in the following categories: overall (each of the three races), K-3rd, 4-6th, 7-8th, high school (9-12th), 0-19 yo (open race), 20-29 yo, 30-39 yo, 40-49 yo, 50-59 yo, 60+. Awards will be available for pickup at the East Fleet Feet location on Sunday 7/29/18 (and will be held for you until you can come in). If you traveled from out-of-town for the race, please contact Amanda.hollebone@fleetfeet.com for an alternate delivery of awards.